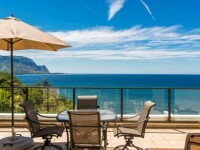 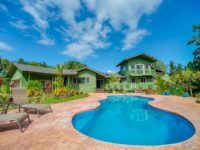 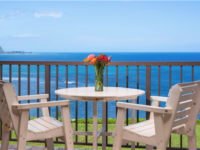 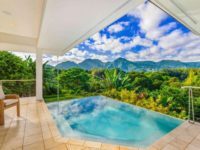 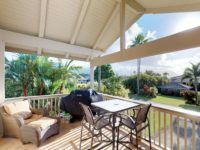 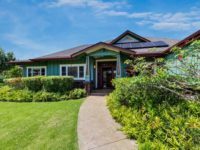 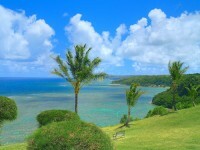 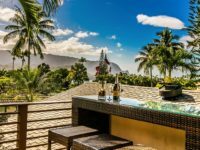 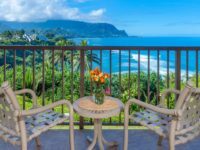 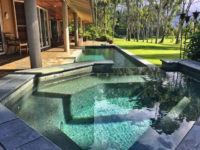 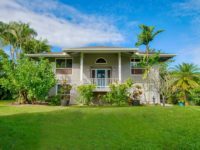 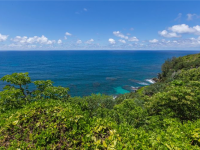 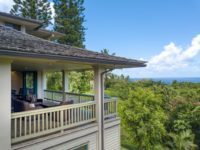 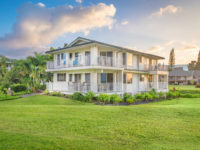 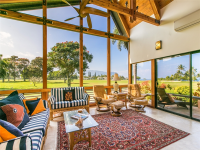 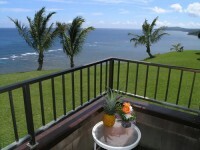 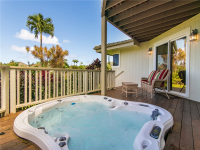 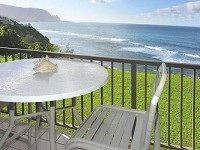 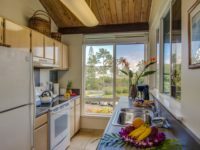 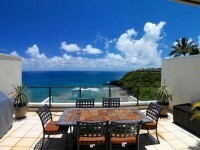 PRINCEVILLE, KAUAI VACATION RENTAL: Perched on a dramatic ocean bluff above the surf is Keoniana Kai, a 3 bedroom, 4 bath architectural masterpiece with panoramic open ocean and white water surf views. 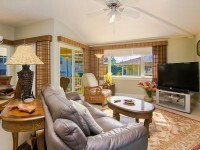 There is 2,700 square feet of living area plus 800 sq. 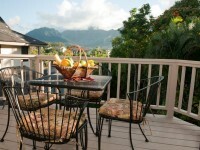 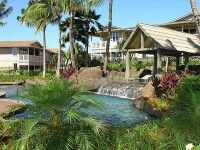 ft. of decks and covered lanai. 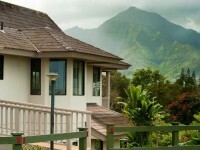 This amazing house boasts one of the most magnificent views from every room in the house with the exception of the den. 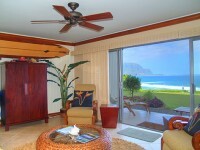 The rooms are all very private and set apart from each other. 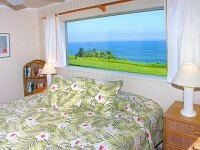 Each bedroom has an ensuite bathroom and TV.